New PC Tools Internet Security 2011 ReviewReview of PC Internet Security 2011PC Tools Internet Security 2011, Is it Worth Buying? PC Tools Internet Security software has received the highest certification rating from AV-test.org for Windows 7 and XP systems. Its antivirus has beaten other security programs, as well. Find more about the new version in this PC Tools Internet Security 2011 review. The Internet security software from PC Tools is packed with necessary protection tools while browsing the Internet and using the computer. 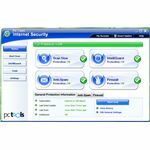 PC Tools Internet Security 2011 includes a top-notch antivirus and anti-spyware program, improved firewall software, useful real-time modules like its IntelliGuard feature, and an easy to use anti-spam and e-mail scanner. 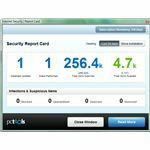 We take a look at the installation process, performance, detection and prevention in this PC Tools Internet Security 2011 review, and hope to help you decide before you buy Internet security software from PC Tools. PC Tools Internet Security 2011 runs on 32-bit and 64-bit editions of Windows 7, Vista and XP. The installation uses a bootstrapping install process, wherein the setup file require an Internet connection that will download necessary files before proceeding with the installation in Windows. The installer of PC Tools Internet Security will install an unpatched build of Microsoft Visual C++ 2008 Redistributable v9.0.30729.17, Browser Defender 3.0, and the main program – PC Tools Internet Security 2011 version 8.0.0.623. To help secure Windows, it is recommended to visit the Windows Update website in Windows to immediately install the security update MS09-035 for Visual C++ 2008 Redistributable (KB973924). What is neat with the install process of PC Tools is there’s no need for a system restart before you can start using the program and enjoy the protection it offers. The installer of PC Tools also adds an anti-spam plug-in for email programs, and browser guard add-ons for Internet Explorer and Firefox. Browser Guard add-ons comes with two modules, a toolbar and a BHO. Both provides prevention tools for blocking malicious websites or when downloading unsafe files from the Internet. The toolbar does not automatically change the search and home pages in the browser, nor will it automatically add new search providers. Instead, the user is given a choice of adding a search bar (Search Defender) that is powered by Ask.com using the URL http://www.search-results.com. Note that it is not necessary to enable Search Defender to enjoy the protection while browsing or downloading files from the Internet. The Browser Guard add-ons provides the said protections, and also includes a safety search rating system for IE and Firefox, but not for Safari and Opera browsers. Antivirus, anti-spyware and anti-malware protection using ThreatFire technology, Spyware Doctor Antivirus and Anti-spyware. Also see, ThreatFire vs. Panda Cloud Antivirus comparison. IntelliGuard real-time modules using several guards: Browser, behavior, e-mail, rootkit, cookies, download, network, files and site guards. Two-way and rule-based firewall protection which is now improved (version 7). Anti-Spam and E-mail scanner – the anti-spam uses several techniques to block unwanted messages such as filtering emails according to black and white list and DNS spam blacklist servers. Smart Update – program and database updater that can be scheduled or push manually. Security Report Card – Displays protection statistics since installation. Secure Community protection – Uses cloud-based reporting and detection techniques from similar users of the program. Threat Removal tool – A scanner to detect malware using memory and file signatures that could be preventing PC Tools Internet Security 2011 from running. PC Tools Alternate Operating System Scanner’s ISO Burner – The live CD of PC Tools to scan the computer before Windows loads. It is useful when fixing infected computers that won’t boot in either normal and safe mode options. Malware Detective – A diagnostic utility to scan the computer and send the information to PC Tools for analysis. It also will receive fixes or tips on how to deal with nasty malware. File and Registry editors – A new feature that uses a kernel mode driver, allowing end-users to view not only visible registry and files but also hidden registry entries and files so you can modify or delete nasty infections or remnants properly e.g. rootkit or stubborn files and registry keys. The only feature that I believe should be added in PC Tools Internet Security program is parental control which most parents or guardians wanted to see in a security suite application. When you buy the Internet security software from PC Tools, you will find many options for using the product. If you want to know how it will perform in your computer, you should check this PC Tools Internet Security 2011 review now. Password Protection – Protect settings, IntelliGuard and shutdown process of the program. Option to scan and protect against Potentially Unwanted Programs (PUP's). Start-up scanner – Allow PC Tools to run a scan using IntelliScan (Quick scan), Custom, or Full system scan. Also, options to run a background scan when the computer is idle. Compatibility modes – The option to enable behavior and kernel compatibility modes on applications or other security tools. This is recommended to use only if there’s a known conflict with security programs by other vendors. Game and Full-screen modes – Options to skip scheduled tasks and stop alerts when running PC games or using full-screen applications. Also, an option to use compact or comprehensive antivirus database while playing games. Activity log – The option to log firewall, antivirus, anti-spam and program activities, and export or clear the logs. Auto-fix – Allows automatic fixing of detected threats after a scan. It’s not recommended to enable this option to prevent removal of important files that could be falsely detected as threats. Restore point creation – An option to create a restore point before it removes or disinfects the computer from threats. File exclusions – Lets you exclude file extensions to scan e.g. e-mail database or ISO files. Firewall policy – To allow, block or prompt for network connection requests. BTUpdateService.exe – Browser defender update service. FGuard.exe – Browser defender social on disk. This is a new feature in PC Tools Internet Security 2011, a behavioral protection against fake antivirus applications. Launcher.exe – Outlook Express API launcher by Nektra. pctsAuxs.exe – PC Tools auxiliary service. pctsGUI.exe – PC Tools GUI application. pctsSvc.exe – PC Tools security service. TFService.exe – PC Tools ThreatFire service. That’s quite a lot of running processes but it is impressive that it did not slow down the computer while browsing, checking emails, playing PC games, or using several applications at the same time e.g. Outlook, Firefox, Opera, Internet Explorer, Safari, MailWasher, POP Peeper, Windows Media Player, and Adobe PDF Reader. The program does not lag the computer while it is idling or monitoring for malicious activity in Windows. The scan performance is acceptable as well, as long as you keep the default setting to use lower scan priority to reduce CPU usage. Disabling this option will cause slow performance in running other tasks such as browsing, sending e-mails, and will affect the display performance of Aero in Vista or Windows 7. Is it worth buying Internet security software from PC Tools? Does the security solution of PC Tools do enough to protect the computer from known malware, viruses, potentially unwanted programs, and spyware? Read more about the detection performance in this PC Tools Internet Security 2011 review. In this PC Tools Internet Security 2011 review, I transferred 400 malware samples to the system drive to check if the real-time modules will work. The on-access protection automatically blocks and quarantined a total of 383 out of 400 malware files. I proceed by running an on-demand scan but it did not find any more malware files, which leaves the PC at risk to 17 malware samples. Finally, I executed the remaining 17 malware and its Behavior Guard and firewall modules blocked and prevented 7 out of those 17 threats. This is quite good detection and protection offered by PC Tools for providing 98% of protection for known malware and potentially unwanted programs. Note that the PC Tools antivirus program is among the best free antivirus programs compared. For more information, see this list of the Top 10 Free Antivirus for Windows. The Internet security software by PC Tools has received 5.5 rating from AV-test.org when it was tested on XP systems. Its antivirus has received 5.0 rating when tested on Windows 7. PC Tools’ browsing protection works like a charm as it is fast to block and detect new malicious websites or unsafe downloads. At $49.99 for 3 PC's with 1 year of subscription, PC Tools Internet Security is an inexpensive Windows security solution. Product support is rendered via chat, e-mail and phone. Activating the product is done over the Internet and requires no program or system restart that activates available features for registered or licensed users. If you want to test drive PC Tools Internet Security 2011 software yourself, a demo version with unlimited real-time protection but no removal of detected threats during on-demand scan is available at the vendor's website. Note that PC Tools Internet Security is one of the cheap Internet security suites on the market. With the ease of use and high malware prevention offered by PC Tools Internet Security 2011, you can trust the PC will get enough protection it needs. It’s highly recommended if you want good reactive and proactive protection for Windows. Image credit: Screenshots taken by the author. *Please note - the author received '1 year license for this review' from a company other than Bright Hub in order to develop the content contained within this article or review.